Everstream’s Data Center Services handle the entire process — evaluating, documenting and matching business’ needs to best-in-class facilities. The company operates two regional data centers and is a network service provider for more than two dozen partner locations. Everstream’s Grand Rapids, Michigan, facility is SOC 1® Type 2 and SOC 2® Type 2 certified. 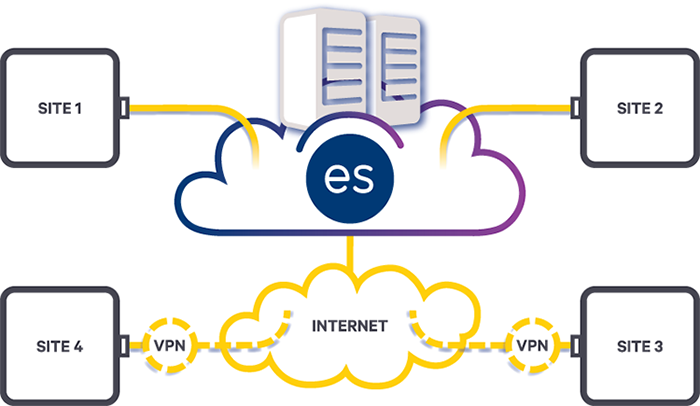 Everstream supports Infrastructure as a Service (IaaS) and Backup as a Service (BaaS) Cloud-Based offerings. IaaS has several options available, including your choice of a shared or private environment, redundant or non-redundant service, and optional disaster recovery capabilities. All have the ability to be managed by the customer for maximum flexibility.